Mustard greens. Lots and lots of mustard greens. That’s what we’ve got this year. I started making mustard in my kitchen last summer. It was such a success that I decided to plant nothing but mustard in one of my smaller raised beds this spring so that I could let them go to seed and collect the seeds for grinding. I figured that an abundance of spicy leaves to snip here and there would be a bonus. Well, my first big harvest gleaned around 3lbs. of the spicy purplish leaves, and two days later the bed looks exactly as it did before I started hacking away, thanks to all the rain we’ve had this past week. I won’t complain about free organic greens, but I am running out of creative ways to use them. 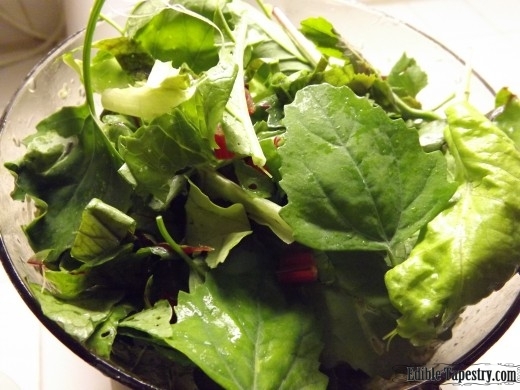 Mustard greens chef salad. Roast beef with whole wheat couscous simmered with mustard greens. 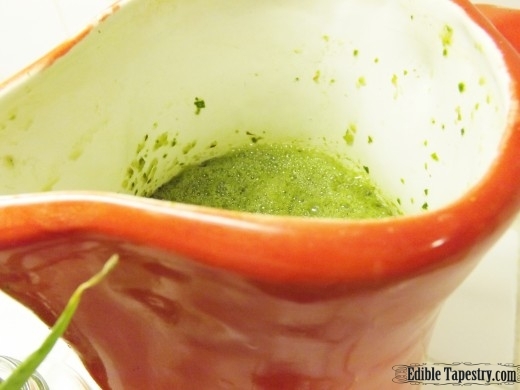 Mustard greens with spring onion green goddess salad dressing. Submarine sandwiches with fresh garden bib lettuce and mustard green leaves. About the only thing I haven’t made with them is a green smoothie. Somehow I didn’t think we could stomach that. 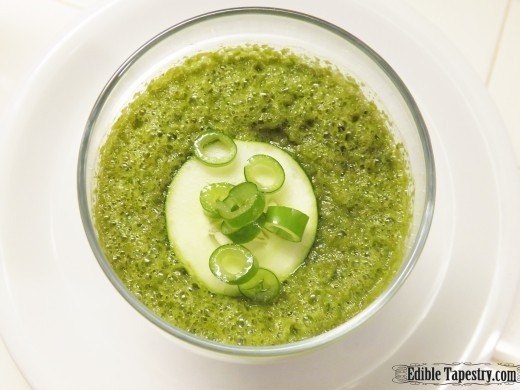 But I came awfully close to making a mustard green based smoothie with my green gazpacho idea the other night. 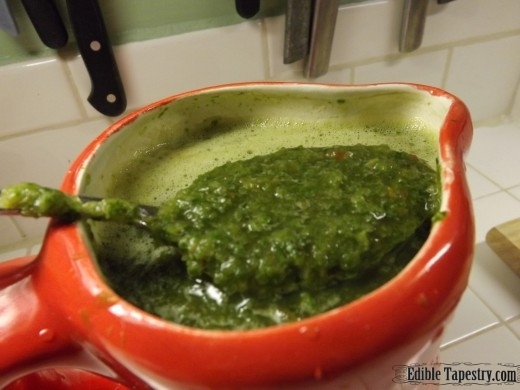 In fact, my husband is so used to me handing him green smoothies of one variety or another, that he picked his bowl of gazpacho up off the table, put it to his mouth and slurped while I giggled and gagged, trying to explain that it was soup, not a shake. 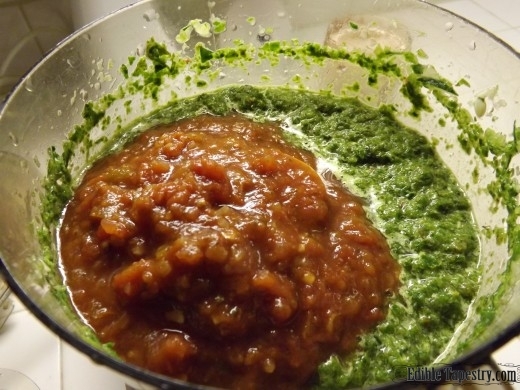 He did enjoy this new way I’d given him of eating his greens, especially with the added kick of fresh mustard green leaves and spicy salsa, but it was actually so “kicky” that I don’t know how I think I’m going to get away with using the word “cool” in the title of my blog post. 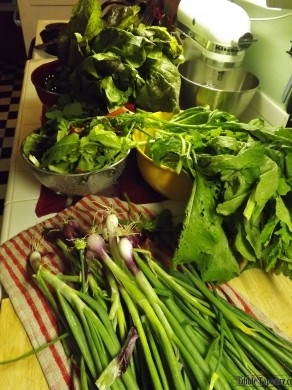 With a little of every green I had ready to eat in the garden, foraged and planted, and a pile of spring onion greens I clipped from the bulbs I am storing away for later use, it was a powerful start to our meal. 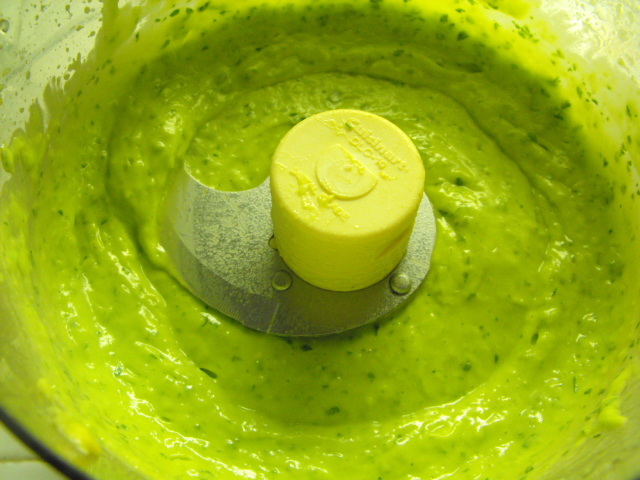 Puree the cucumber and onion greens. 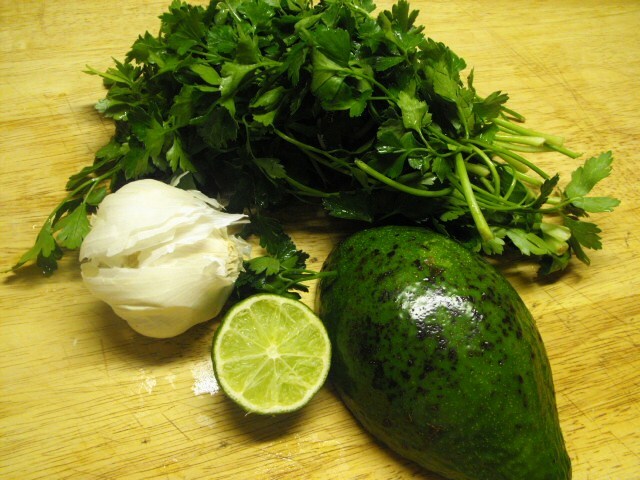 Add the greens and puree them together. 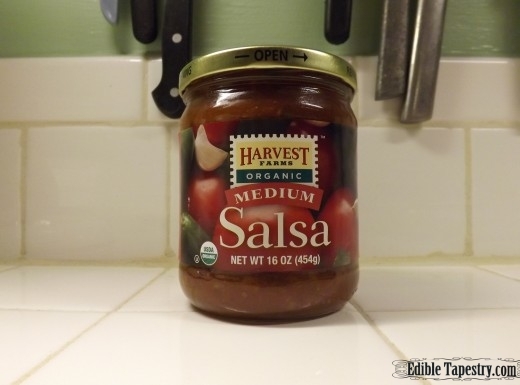 Whir in the salsa. Add the water, juice, and salt. I took half of the batch of soup and finely blended it in a blender, because I knew the chunkier texture I would enjoy would bother my husband and son who are sensitive to textures. The way I enjoyed my gazpacho before finishing half of it in the blender. That’s probably why one of them mistook his for a smoothie. 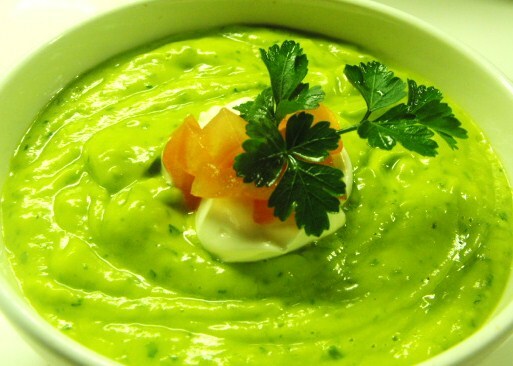 I would have preferred to add a dollop of sour cream to the top of each dish of soup along with the garnish, but we try to avoid all the yummy extras when they aren’t absolutely necessary. After finely pureeing the soup. 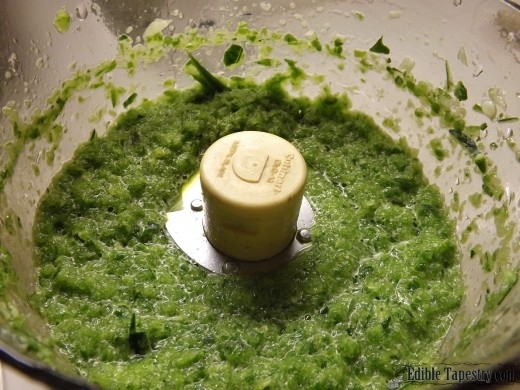 Combine first 6 ingredients in food processor. 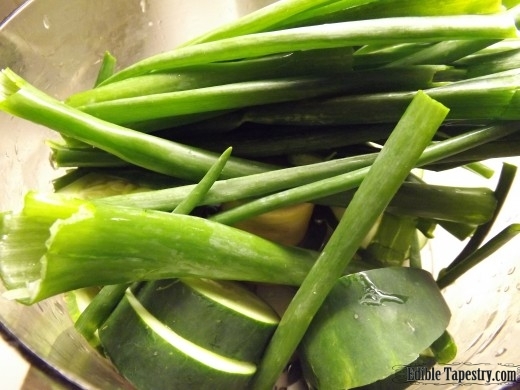 Process until smooth and begin adding stock until it is as thin as you like. Season with salt and pepper. Ladle into bowls. Top with a spoonful of sour cream, tomatoes, and cilantro. Indian Paneer ~ Homemade Cheese in Minutes!